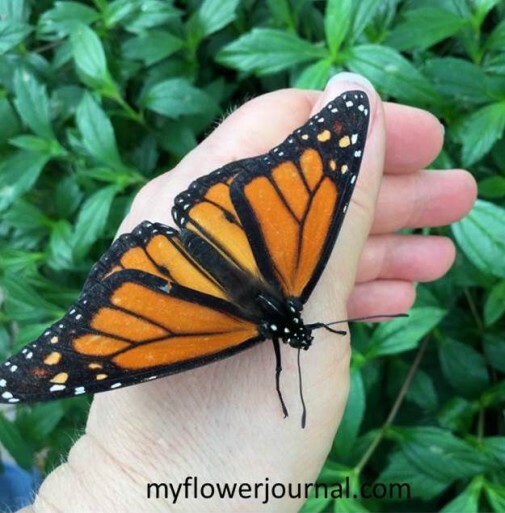 A few weeks ago I had the opportunity to visit Butterfly Wonderland in Scottsdale, Arizona. It was like entering a magical world! A few weeks before we went to Arizona I contacted Lori Johnson, a professional photographer in the area and arranged to do a photo tour with her. 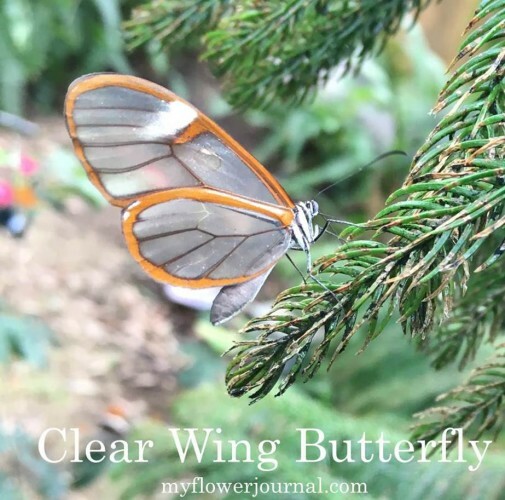 She visits Butterfly Wonderland often and posts the photos she takes with her smart phone on instagram. It helped to go with someone who has been there many times because she knew the habits of some of the butterflies and where to look for them. 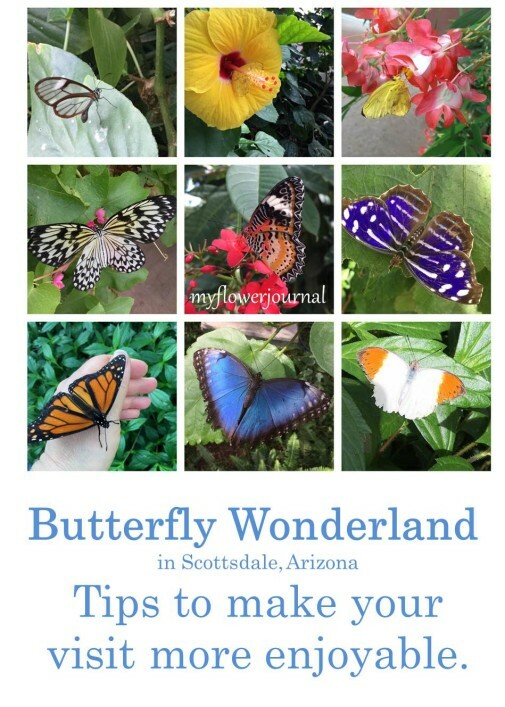 If you are going to be in the Scottsdale/Phoenix area add Butterfly Wonderland to your list of things to do. From the moment I entered and saw all the big Blue Morpho butterflies flying around I felt like I was in an enchanted place. The Blue Morpho was one of my favorite butterflies, but it was also one of the hardest to photograph. There were so many of them, but they are constantly flying around and don’t land very long with their wings open so you can see the beautiful blue color. I did get a few photos. In the first photo you can see how one side of their wings are brown and the other side is a beautiful blue color. Butterflies are interesting that way. They can look so different depending on which side of their wings you are seeing and if it is a male or female. Tips to help make your visit more enjoyable. Dress for a hot, humid climate. Go in the afternoon when most of the school groups have left. Allow about 2 hours for your visit. You can stay longer (I did), but two hours is enough time especially if you have children with you. When you arrive you start your experience with a 3D movie about butterflies. After the movie you go into the Emergence Gallery where you see cocoons in various stages of development-some with butterflies or moths emerging. From there you go into the tropical atrium. If you have to wait a few minutes for the next showing of the movie take a look at the brochure they give you when you enter. 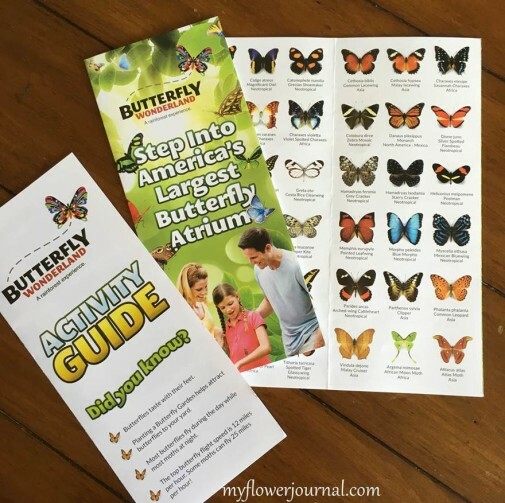 It has shows photos of some of the butterflies you will see. It helps to study it for a few minutes and become acquainted with all the different varieties. Looking back through my photos I saw most of the ones shown in the brochure plus a few more. If you have children with you pick up and activity guide. It has a photo scavenger hunt in it. If you start to get too hot and tired take a break in the cafe and cool off then return after you’ve had a rest. Don’t be startled when a butterfly lands on you. It happens often. Sometimes you don’t even feel them land on your head or back or pants. Walk slowly and look closely. Its easy to miss the little Clear Wing Butterfly or the ones that are masters of disguise. Don’t be afraid to get up close with your camera. Focus on the face to get the best picture. I used my iphone for almost all my photos. If you are like me one visit won’t be enough. I went back the next day and took a few hundred more photos! Will you now paint some butterflies? Or do already have one I missed? Beautiful post. Thanks Theresa! I am working on some watercolor butterflies I’ll be posting next week with a tutorial and printable. Fantastic. I can’t wait. You’re art is beautiful and the fact you share it so openly is admirable. Thanks! Wow! Will definitely visit when I am there next! Thank you for sharing your beautiful photos. They are gorgeous. We where there last year. Breathtaking. Great place to visit while in Scottsdale. Great Pictures.